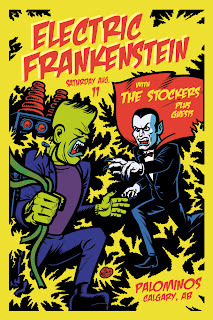 Poster for EF's recent show in Calgary. Trying for a Jack Kirby-type feel with this one. Always a blast to do something for EF. There are plans for a second book compiling EF poster art so this will most likely show up there when it all comes together. Stay tuned for MORE ACTION! Here's an alternate version of the cover art for the forthcoming 11th issue of super cool Canadian garage/punk/art mag Mongrel Zine. 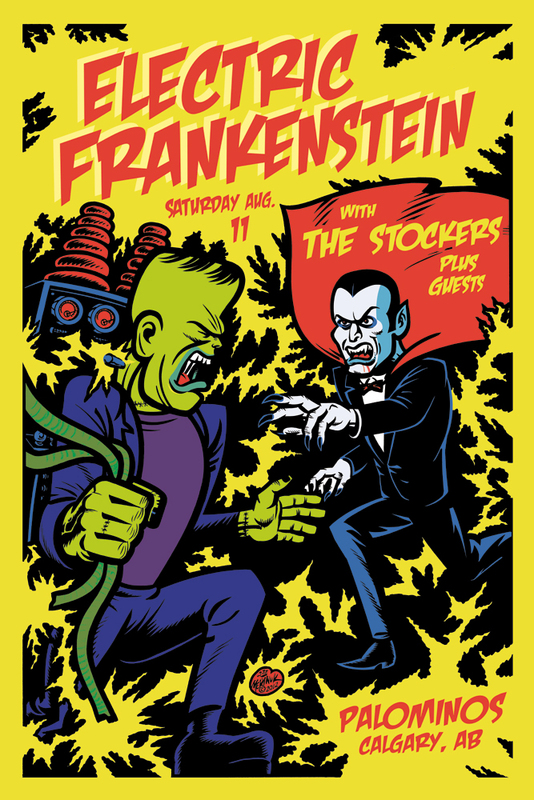 We decided to delete the Famous Monsters tribute/ripoff logo for the published version but I thought I would put the original version up here for kicks. If all goes according to plan there will also be T-shirts of this and the issue should also have an interview with yours truly. Thanks to Bob and Janelle! 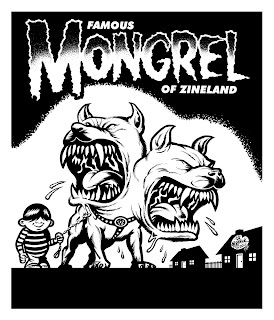 Stay tuned for MORE MONGRELIZED ACTION!